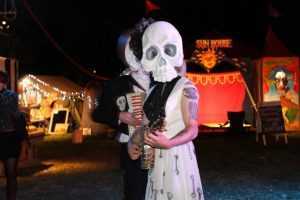 The Skulls is a raucous roving musical act for festivals, gigs, street parades, cabaret and theatre. The Skulls consists of six award-winning performers who smash circus, puppetry, magic and theatre with a deadly live soundtrack. The Skulls are exuberant ghouls from the after-life itching to break out some toe-tapping dance tunes. 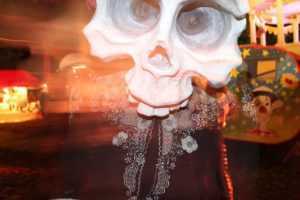 Death is always breathing down our necks. Being reminded of this makes us cherish every moment. Like masquerades from New Orleans, Taiwan and Mexico, The Skulls is a celebration of life. 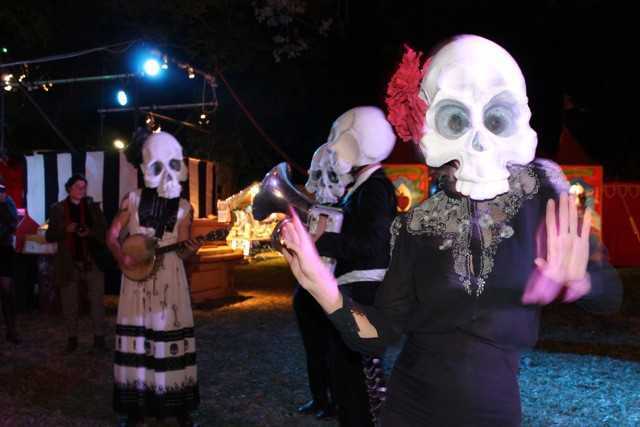 The Skulls are Colleen Burke, Dave Evans, Nara Demasson, Adam Pierzchalski and Dan Witton. The Skulls is presented by Colleen Burke, an artist partner of Sanctum Theatre. 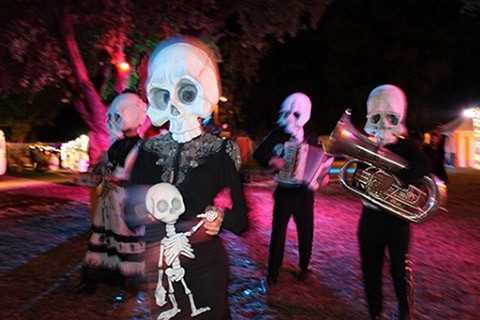 To book The Skulls for your festival or event, please contact Lachlan Plain on (+61) 432 103 538 or lachlan@sanctumtheatre.org.